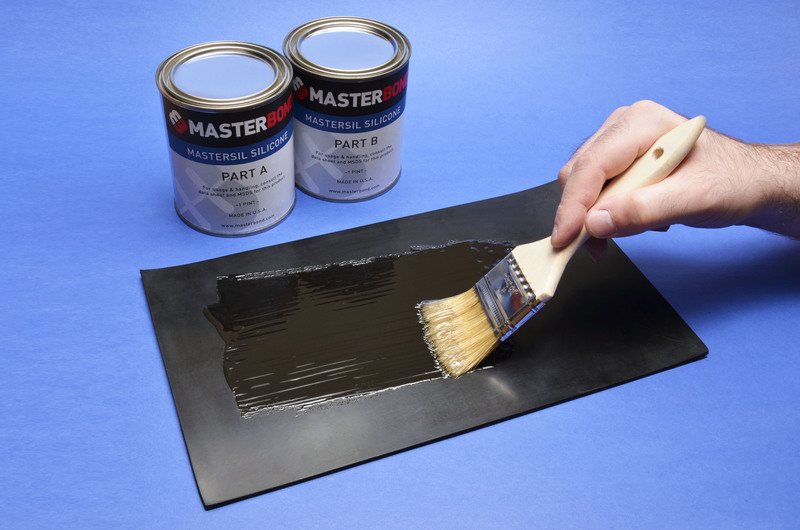 Master Bond MasterSil 153 is a two component, paste silicone compound for high performance bonding and sealing. MasterSil 153 is an addition cured system and does not require exposure to air for cross-linking. It has a convenient one to one mix ratio by weight, and will not outgas while curing. It is 100% solids and contains no solvents. First and foremost, MasterSil 153, as is true with silicones in general, offers remarkable flexibility and high temperature resistance. MasterSil 153 has an exceptionally long working life and very low exotherm. It bonds well to a wide variety of substrates including most metals, many plastics, glass and ceramic. Most importantly, it will bond well to cured silicone rubber. It has superb electrical insulation properties. Its remarkable flexibility allows it to withstand severe thermal cycling and resist vibration and shock. Its self priming feature enhances the bonding properties of the system. Also, it is very water resistant. MasterSil 153 can be used in a variety of applications involving optical, electrical, aerospace and medical devices. MasterSil 153 is translucent, although, it can be formulated in various colors. The service temperature range for this system is -65°F to +400°F. MasterSil 153 is available is various sizes and units to accommodate customer's needs.